The above paragraph was taken from “Appendix 31, List of Early Helicopter Pilots, ” United States Naval Aviation 1910-1995 by the US Navy History Center. The overall article is available completely below. VADM Charles Thomas Booth, II, was born in Penacook, New Hampshire, on January 12, 1910, son of Charles Herbert and Fannie May (Chamberlain) Booth. He attended Lynn Classical High School in Lynn, Massachusetts, and entered the U. S. Naval Academy, Annapolis, Maryland, from the Seventh Congressional District of Massachusetts on June 21, 1927. He was graduated with the degree of Bachelor of Science and commissioned Ensign in the U. S. Navy on June 4, 1931, and through subsequent advancement attained the rank of Vice Admiral, to date from April 1, 1965. 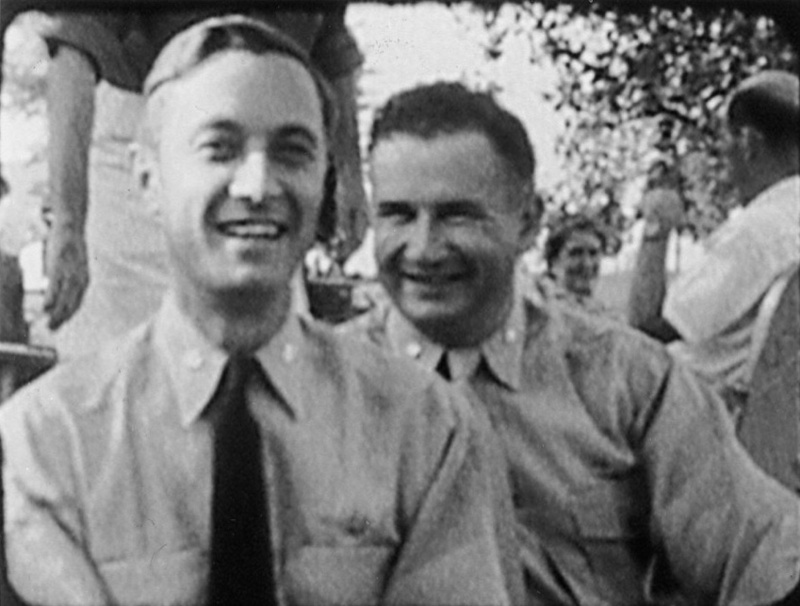 After graduation from the Naval Academy, he had preliminary flight training at the Naval Air Station, Norfolk, Virginia, and after serving at sea from August 1931 to February 1932, reported as a student aviator at the Naval Air Station, Pensacola, Florida. Designated a Naval Aviator on January 27, 1933, he was detached in March, and during the next three years had successive duty in Observation Squadron ONE, attached to the USS Oklahoma, battleship, and Fighting Squadron SIX based on the USS Saratoga, aircraft carrier. From May 1936 to June 1937 he served as a pilot in Patrol Squadrons 3F and 5F of Aircraft Squadrons based on Coco Solo Canal Zone. When detached he returned to Annapolis for instruction in Aeronautical Engineering at the Naval Postgraduate School. He continued the course at various places including Massachusetts Institute of Technology, from which he received the degree of Master of Science in June 1940. A month later he joined the USS Ranger, for duty with Fighting Squadron 4, based on board that carrier, and in March 1941 assumed command of the squadron. He was awarded the Navy Cross “For extraordinary heroism as Commanding Officer of a Fighting Squadron during the assault on and occupation of French Morocco, November 8-11, 1942…” The citation continues: “Attacked by sixteen hostile fighters while raiding the Cazes Airdrome, Lieutenant Commander Booth and his flight of eighteen planes shot nine of the intercepters out of the sky, damaged another, and destroyed fourteen aircraft on the ground. In addition to subsequent strafing raids which silenced shore batteries near Port Lyautey and El Hank, he led a flight of eleven planes through a bursting hail of anti-aircraft fire to bombard two surfaced submarines and a light cruiser off Casablanca…(and) later led four additional flights in successful attacks against hostile troops, planes in the air, and tank and truck columns…” Upon his return to the United States, he reported in January 1943 for duty as Assistant Flight Test Officer at the Naval Air Station, Anacostia, D. C. Six months later he was transferred for duty in a similar capacity to the Naval Air Station, Patuxent River, Maryland. “The Navy ordered and received its first helicopter on 16 October 1943. The helicopter was a Sikorsky YR-4B, Navy designation HNS-1. It was accepted at Bridgeport, Connecticut. 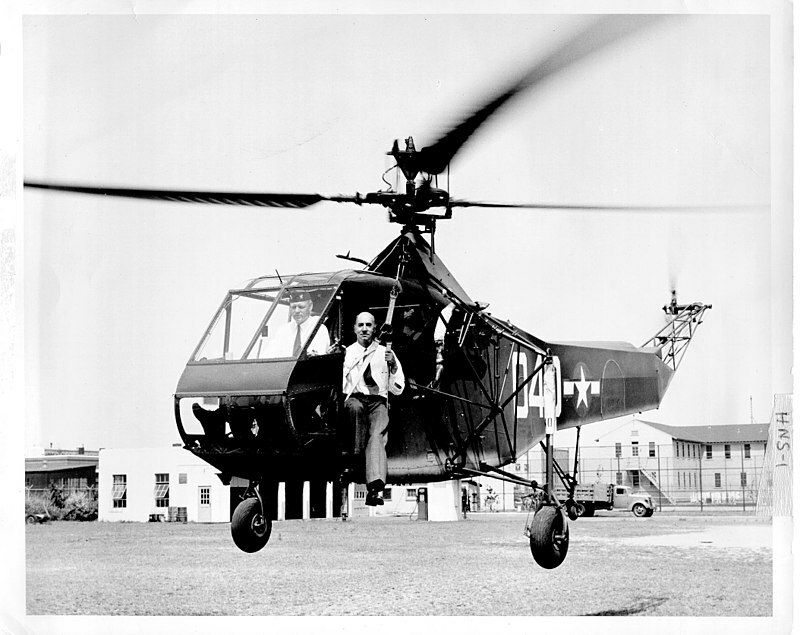 Commander Charles T. Booth, USN, delivered this helicopter to NAS Patuxent River, Md., on 22 October 1943. CDR Booth had arrived at Bridgeport “to continue instructions and to deliver to NAS Patuxent the first Navy helicopter. Six hours additional flight time was obtained by Commander Booth prior to his return to NAS Patuxent, Md., on 22 October 1943. CDR Booth became the first US Navy Helicopter Pilot. ”From January 1945 until May 1946 he served as Operations Officer, successively, on the staffs of Commander Carrier Division TWELVE and Commander Carrier Division SEVEN, and for fifteen months thereafter was Executive Officer of the USS Princeton. In September 1947 he reported to the Office of the Chief of Naval Operations, Navy Department, Washington, D. C., and served for seven months in the Military Requirements Division, Air Warfare Branch. He then attended the Navy All-Weather Flight School, Corpus Christi, Texas, and in July 1950 assumed command of Composite Squadron FOUR. On September 19, 1951, he was ordered to duty as Director of Electronic Tests, Naval Air Test Center, Patuxent River, where he remained two years. He was a student at the National War College, Washington, D. C., in 1953-1954, and after graduation in June 1954 assumed command of the USS Badoeng Strait (CVE-116). On June 2, 1955,he was ordered detached for duty on the staff of the Commander in Chief, U. S. Pacific Fleet. After two years, he reported to the Newport News (Virginia) Shipbuilding and Dry Dock Company, to fit out the USS Ranger, and assumed command of that attack aircraft carrier at her commissioning, August 10, 1957. 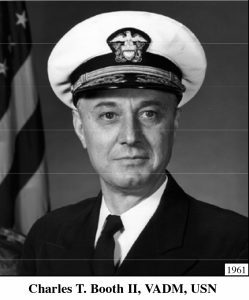 In February 1958 he was designated Chief of Staff and Aide to Commander Naval Air Force, U. S. Atlantic Fleet. A year later he became Assistant Chief of the Bureau of Aeronautics, for Plans and Programs, Navy Department, and on December 1 of the same year assumed the duties of Assistant Chief of the Bureau of Naval Weapons, for Program Management. He was at sea in command of Carrier Division FIVE from May 1961 to August 1962, then reported for duty as Director of Development Programs, Office of the Chief of Naval Operations, Navy Department. On August 15, 1963, he was assigned to the Office of the Deputy Chief of Naval Operations (Development) as Acting – Assistant Chief of Naval Operations (Development). He reported as Deputy Chief of Naval Operations (Development), on October 5, 1963 and as such was responsible to the Assistant Secretary of the Navy (Research and Development) and to the Chief of Naval Operations for coordinating and managing the entire Navy’s research, development, test and evaluation program. “For exceptionally meritorious conduct… (in that capacity)…”he was awarded the Legion of Merit. The citation further states in part: “Serving as principal assistant to the Secretary of the Navy and the Chief of Naval Operations with responsibility for the Navy’s Research, Development, Test, and Evaluation Program, Vice Admiral Booth provided an exceptionally high order of leadership, professional skill, and managerial ability in the direction and coordination of the myriad activities included in this important assignment. Through his expert appraisal, his practical approach to problems, his sound judgment, and his keen foresight, he contributed immeasurably to the Navy’s efforts and was instrumental in bringing to fruition planned projects in many diverse areas of Navy interest. His leadership ability in providing proper balance and realistic priorities, and his awareness of the need for objective and firm budgetary decisions with the full understanding of their effects on other programs were especially noteworthy…” On March 31, 1965 he became Commander Naval Air Force, U. S. Atlantic Fleet and “for exceptionally meritorious service … from March 1965 to February 1969…” he was awarded the Distinguished Service Medal. The citation further states in part: “Vice Admiral Booth consistently displayed outstanding leadership, judgment, planning ability, and resourcefulness, while constantly increasing the operational readiness and combat effectiveness of the forces assigned to his command. In addition to implementing successful major organizational realignments and new financial management, concepts, Vice Admiral Booth was directly responsible for the expeditious and efficient introduction of new major ships and complex aircraft into the Atlantic Fleet. (He) ensured the maximum operational flexibility of the U. S. Atlantic Fleet to support national commitments in the Atlantic, Mediterranean, and Pacific areas…” On March 1, 1969 he was transferred to the Retired List of the U. S. Navy. 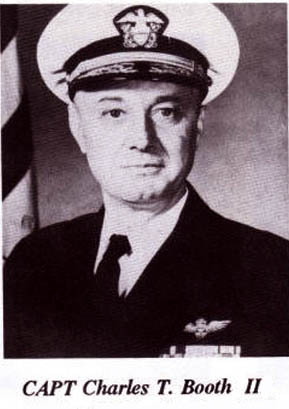 In addition to the Navy Cross,, the Distinguished Service Medal, and the Legion of Merit, Vice Admiral Booth has the American Defense Service Medal, Fleet Clasp; EuropeanAfrican-Middle Eastern Campaign Medal; Asiatic-Pacific Campaign Medal; American Campaign Medal; the World War II Victory Medal; Navy Occupation Service Medal, Asia Clasp; the China Service Medal; National Defense Service Medal with bronze star and the Armed Forces Expeditionary Medal (Vietnam). Married to the former Miss Peggy Maltman of Baltimore, Maryland, Vice Admiral Booth had three children: Peter Blake Booth, Peggy (Mrs. William E.) Ramsey and Thomas Blake Booth.